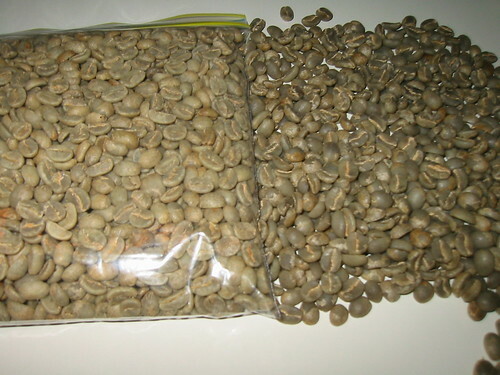 Aaron, Eddie and I had a long set of email discussions leading to what we are calling the green coffee storage project. It is a collaboration among people we respect to effectively explore what happens to coffee in normal storage and estimate what options are available to a roaster on a budget to keep green at optimal quality until the next crop and possibly beyond. The key is not to break new ground but to establish data and facts in a project that is repeatable for most any home user or small budget roaster. A lot of opinions have been offered and we felt it was time to do the research instead. This project is about exploration and transparency rather than obtaining proprietary knowledge. Goal: To determine the necessity for better green transport and packaging standards. To evaluate and graph green age. To summarize the results and then conclude how to slow or prevent coffee flavor/aroma deterioration due to green age. To determine measures to preserve new crop taste through the entire usage of a coffee. Set 1: Coffee stored traditionally at a warehouse; shipped from Guatemala via standard means 2-3 months from harvest. Set 2: Vacuum sealed coffees stored by the roaster; expedited from Guatemala weeks after harvest/milling. Set 3: Vacuum sealed coffees frozen at 0-20C by the roaster; expedited from Guatemala weeks after harvest/milling. Four groups will each have sets of samples provided to them. 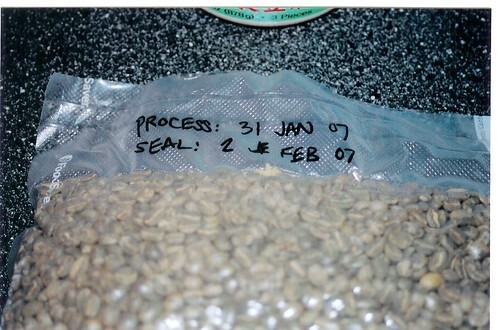 At intervals over a two year period, the samples of regular green, vacuum sealed and frozen will be opened and roasted against each other. It will be up to each group to note or identify any changes or differences in each coffee that they observe and share these notes with the other groups. It was necessary to find respectable roasters who could look at the project from a pure quality standpoint and lend valuable notes on perceivable changes(if any) that existed in each set. We appreciate Steve and Miguel joining Aaron and our crew in this venture. I hope they gain from this setup or at least enjoy the green in the process. I appreciate Edwin being so open to the idea and for his willingness to evaluate anything in the name of research or education. The goal is not to validate but simply for better understanding of green storage and the only expectation I have is that we will all come away with something from this project. The project begins in the next few months and we at Barismo will be documenting bits and pieces of our personal experience when it is relevant.